Students from Washington High School’s Interact Club spent part of MLK Day volunteering in the garden. 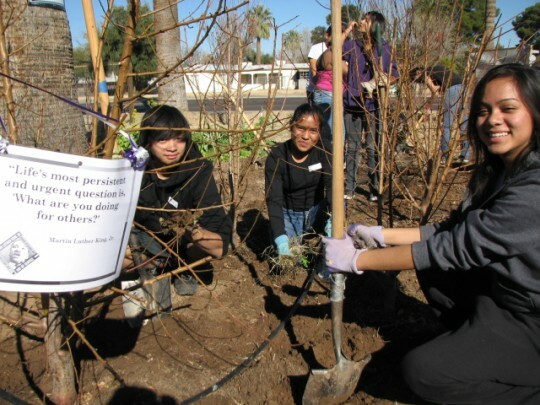 Washington High School’s Interact Club took Martin Luther King Jr.’s service philosophy to heart as they volunteered in the Growing Together – A Giving Garden in Central Phoenix. The words of King were posted around the garden and the teenagers discussed his thoughts while they planted, weeded, bermed, raked, mulched and harvested.